So fricking bad. Because it would mean I could afford this amazing DKNY fragrance bottle. Created in celebration of their latest fragrance ‘Golden Delicious’ (did nobody tell them there was actually an apple called that?) the stunning bottle is carved from polished 14-karat yellow and white gold. 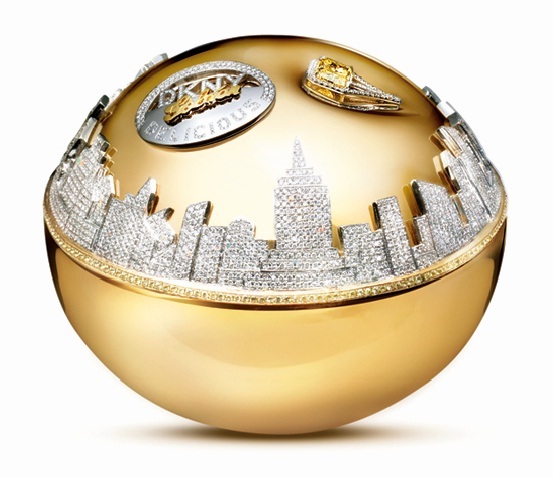 It also includes 2,700 Round Brilliant White Diamonds, 183 Golden Yellow Sapphires, a 2.43 carat Flawless Vivid Yellow Canary Diamond and 14-karat white gold making up the Manhattan skyline that is so iconic to the DKNY brand. Wowzer. The amazing and breathtaking bottle is currently on display in Dubai airport (where else but the land of extravagance) as part of it’s tour around the world. Eventually it will make its final pitstop on the DNKY facebook page, where it will be available for purchase to benefit Action Against Hunger – a global humanitarian organization committed to ending world hunger. 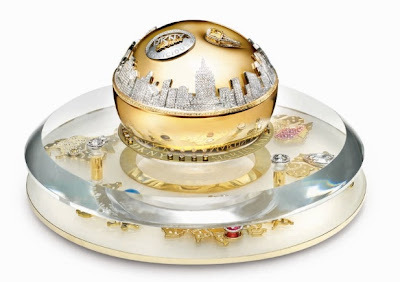 So if you’ve got a spare million quid you could have yourself your very own million dollar perfume bottle… Which you could never use!